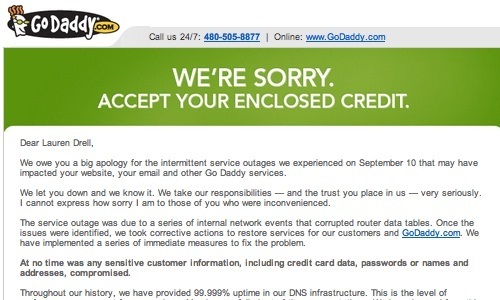 GoDaddy has made an apology for an unexpected outage through a public e-mail addressed to all its registered customers. GoDaddy, considered to be one among the world’s largest domain registers faced a server outage on September 10th. 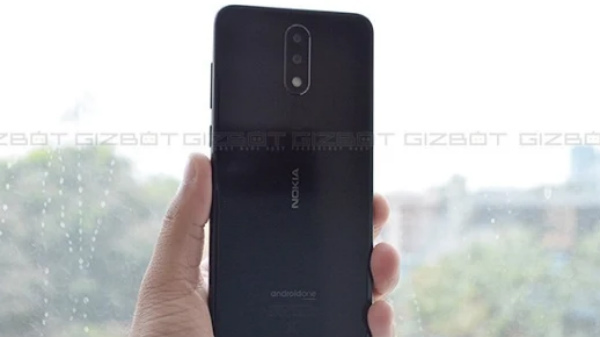 The company is also trying to win back the confidence of its customers by redeeming one month credits to their account. The outage had a significant impact on the hosted websites, e-mails and other services from GoDaddy. The apology e-mail was sent by Scott Wagner who is the CEO of GoDaddy. He was stated as saying, “We let you down and we know it. We take our responsibilities – and the trust you place in us – very seriously. I cannot express how sorry I am to those of you who were inconvenienced.” Company sources reported that this outage occurred as certain issues with internal network events resulted in the corruption of router data cables. Reports also indicate that company officials have identified the problem and have taken immediate measures for fixing the problem. GoDaddy CEO also stated that the personal data of its customers will be sound and safe. The e-mail stated none of the customer information such as credit card information, passwords, and addresses have been compromised. GoDaddy has never faced such a situation before and it is for the first time in its history that its servers went down. Credit of one month will be redeemed for its customers within one week. Users will have to click on the tab denoted as ‘Redeem your credits now’ in the e-mail for getting one month credit back.